VMware and Amazon Web Services, Inc. (AWS), an Amazon.com company have announced a strategic alliance to build and deliver a seamlessly integrated hybrid offering that will give customers the full software-defined data center (SDDC) experience from the leader in the private cloud, running on the world’s most popular, trusted, and robust public cloud. VMware Cloud™ on AWS will enable customers to run applications across VMware vSphere®-based private, public, and hybrid cloud environments. 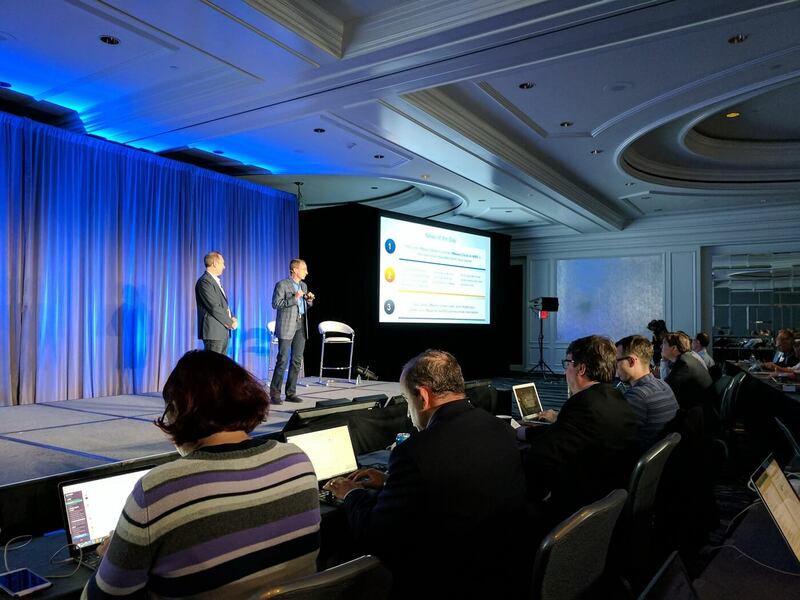 Delivered, sold, and supported by VMware as an on-demand, elastically scalable service, VMware Cloud on AWS will allow VMware customers to use their existing. VMware software and tools to leverage AWS’s global footprint and breadth of services, including storage, databases, analytics and more. For more information on VMware Cloud on AWS, visit VMware Cloud on AWS. Most enterprises rely on VMware to run applications in their vSphere-based private clouds, and often these same customers are also running applications on AWS. Increasingly, these customers have asked both companies to make it easier to run their existing on-premises environments alongside AWS using the VMware software and tools they’ve come to rely on. VMware Cloud on AWS is a jointly architected solution that will integrate the world’s leading private cloud and the world’s leading public cloud. VMware Cloud on AWS is powered by VMware Cloud Foundation™, a unified SDDC platform that integrates VMware vSphere, VMware Virtual SAN and NSX virtualization technologies, and will provide access to the full range of AWS services, together with the functionality, elasticity, and security customers have come to expect from the AWS Cloud. This new service represents a significant investment in engineering, operations, support, and sales resources from both companies. It will run on next-generation, elastic, bare metal AWS infrastructure. Customers will have the ability to purchase services through their existing VMware commercial agreement and use their existing VMware software investments to secure additional loyalty discounts for their VMware Cloud on AWS hybrid environment. Available in mid-2017, VMware Cloud on AWS will be delivered, sold, and supported by VMware as an on-demand, elastically scalable service. Pricing will be made available closer to the general availability date.